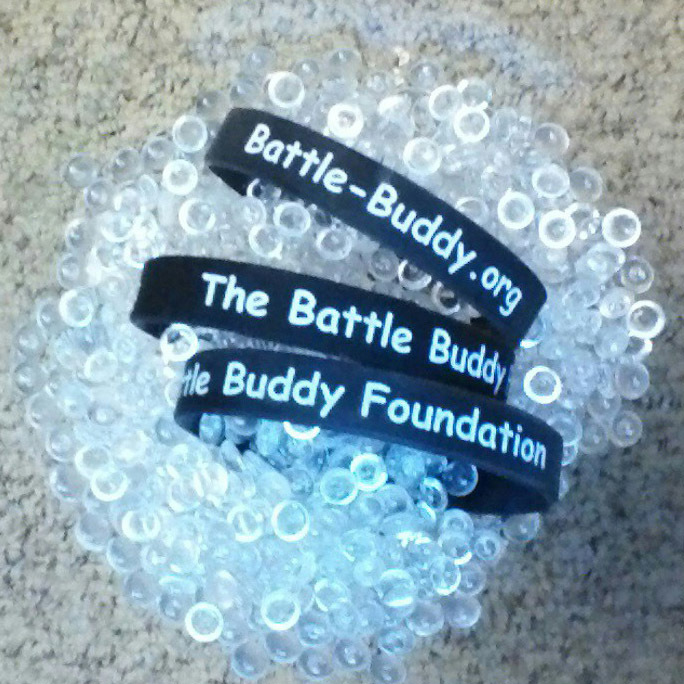 The Battle Buddy Foundation’s cause bracelet is black with white lettering. It features “The Battle Buddy Foundation” and our website, “Battle-Buddy.org”. All proceeds support The Battle Buddy Foundation’s mission. Buy Now (and remember to include the shipping address for your recipient).